It’s Women’s History Month so I thought I would have an all female Passing of the Pioneers. Men have dominated past Passing of the Pioneers posts so I didn’t think it was going to be easy. However, I managed to find thirteen obituaries of some amazing women including sisters. There was a common theme with several losing their husbands at an early age, leaving them to raise children alone. There is also extra information for most of the women so click on any underlined text to read more about the subject. Mary DRISCOLL – Died 3 March 1908 at Portland. Mary Driscoll was born in Kent around 1828 and later married James Wadmore. The couple came to Australia on the ship Constant on her maiden voyage for shipping agents Messrs S.G.Henty & Co with James acting as doctor’s assistant on the voyage. They arrived at Portland Bay on 24 February 1855 and one of the crew carried Mary ashore. They were in Portland a short time when James got work with Charlton Hedditch at Cape Bridgewater where they took up land themselves. The couple’s first daughter Ann was born during their first year in Victoria and a son was later born. A month after their second daughter Sarah was born in 1859, James drowned after he was washed off rocks on the west coast of Cape Bridgewater. That did not deter Mary who worked hard to raise her children regardless of the hardships. She was a city girl but adapted quickly to her new life in the isolation of Cape Bridgwater. As well as caring for her own family, she rode a “spirited bay mare” across the district helping those who were sick. When her daughter Sarah was fifteen, she was offered teacher training, pleasing Mary a great deal. 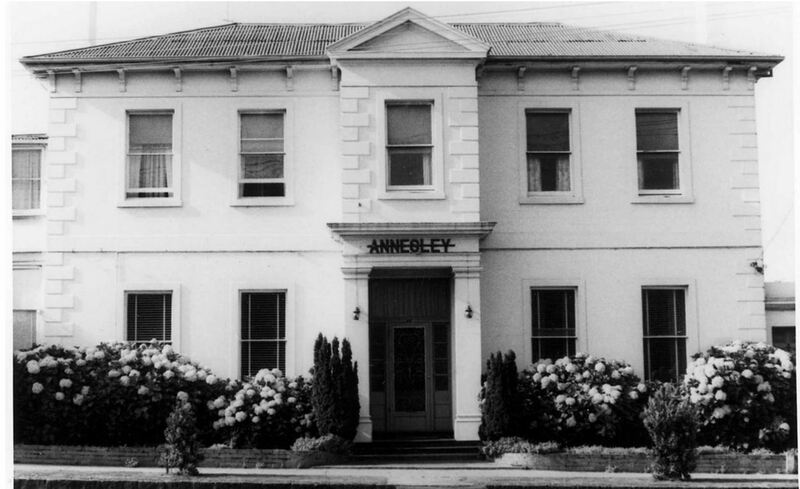 Mary remained at Cape Bridgewater until around 1905 when her daughters Ann and Sarah bought Annesley in Julia Street, Portland, operating a private guest house. That is where Mary died in 1908. Eliza McANALLY – Died March 1909 at Myamyn. Eliza McAnally was born in Ireland around 1836. She married her husband James Cowan in 1855 and the couple immediately left Ireland for Australia arriving at Portland. They made their way to Crawford Station near Condah where James had work. They remained there nine years then selected their own land near Condah. 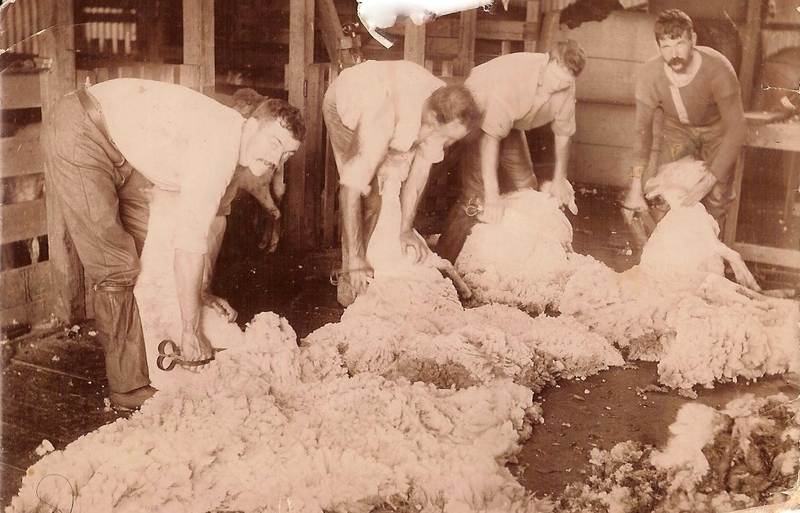 The farm on Lake Condah Road was known as Pleasant Banks. In April 1876, Eliza and James’ only son died after an outbreak of scarlet fever in the district. He was nine. Around 1886, the Cowans built a new homestead. Only months later, a fire in January 1887 burnt their garden fence and to within two feet of the new house. The Cowans were away from home at the time but James returned just as the doormat caught fire. The Cowans remained at Pleasant Banks until about 1903 when they moved to Myamyn to live with their daughters Sarah and Isabella who had both married into the Malseed family. James died in 1905 at the home of their daughter Sarah Malseed. Eliza remained living at Myamyn but fell sick in early 1909 and died six weeks later. Lucy RICHARDSON – Died 9 March 1911 at Hamilton. Lucy Richardson was born around 1831 at Ulverstone, England and arrived in Melbourne in 1857. In 1861, Lucy married Law Gooderidge and they left for Hamilton where Law was opening Clough & Co., a wool brokers business in Gray Street. Three children were born at Hamilton but in late 1866, Law died suddenly aged thirty-three. At the time, Lucy was pregnant and gave birth to a daughter Elizabeth Law Gooderidge in 1867. 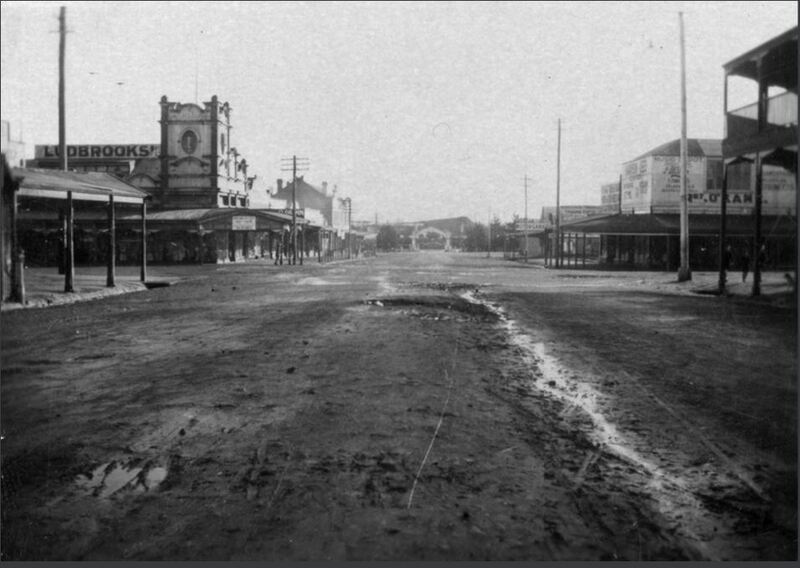 By the 1880s, Lucy was living in French Street, Hamilton and on 9 May 1889, Lucy’s youngest daughter Elizabeth, known as Lawla, married Harold Learmonth a son of prominent Hamilton businessman Peter Learmonth. 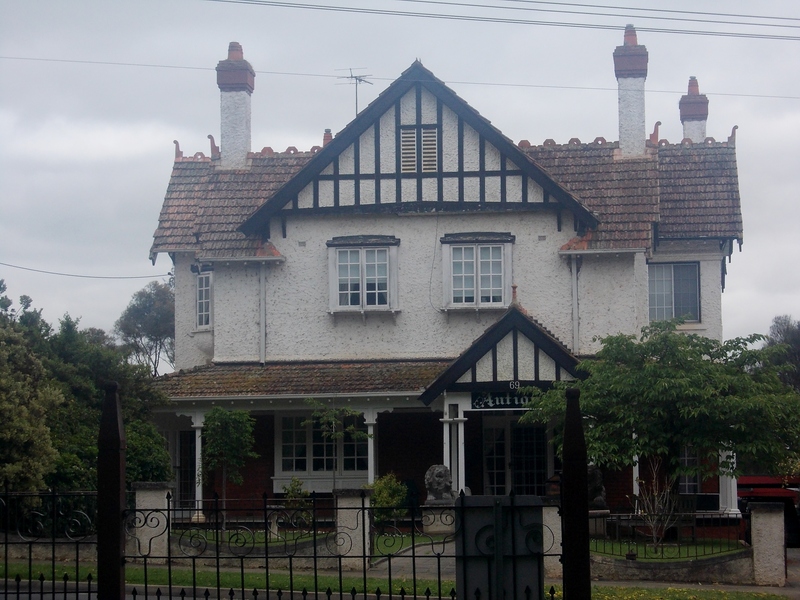 Lucy died suddenly at The Gables (below) in French Street, Hamilton the home of Harold and Lawla. Lucy left one son and three daughters. Lucy was buried at the Old Hamilton Cemetery. Catherine MATHEWS – Died 9 March 1912 at Cavendish. Catherine was born in County Louth, Ireland around 1843. She arrived at Geelong in 1861 before travelling to Hamilton. In April 1866, Father Farrelly married Catherine and Edward Hynes in the then wooden Roman Catholic chapel. Catherine and Edward settled at Flower Hill near Cavendish where they remained for twenty-eight years. In 1895, they moved to Wattle Grove at Glenisla. As a devout Roman Catholic, Catherine went to church every Sunday even as her health failed her. 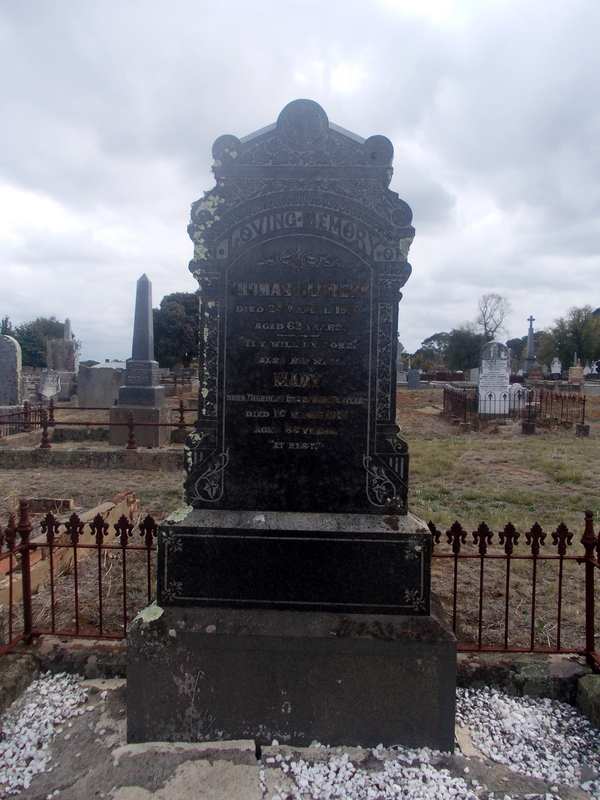 Mary MALONE – Died 3 March 1914 at Dunkeld. Mary Malone was a daughter of Henry and Rose Malone and her obituary states she was eighty years of age, born in Ashby Street, Geelong. Melbourne wasn’t settled in 1834, let alone Geelong so the story had become a little mixed up over the years. When I checked the Victorian Assisted Passenger Lists, I found a Henry and Rose Malone and three children, Joseph aged ten, Mary aged eight and Ann aged one. 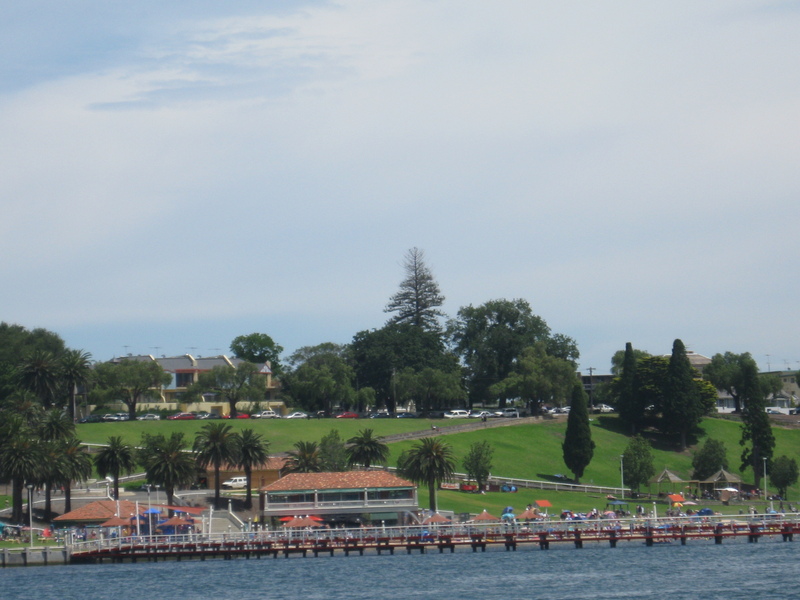 They arrived at Geelong in 1841 aboard the Frankfield. In 1851, Mary married Thomas Lynch and their first child was born in 1852 at Batesford. They moved to Mount Burchett Estate west of Glenthompson by the 1860s. In January 1890, Thomas died and shortly after, in March 1890, a fire lit in scrub near Mount Burchett went through the property. At the time there was only Mary and another woman there. Mary lost sheds, outbuildings and a haystack. 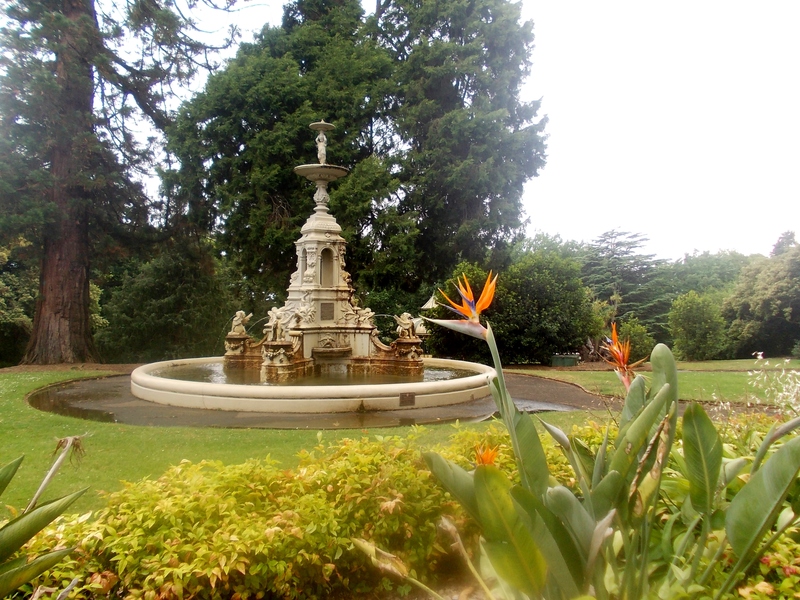 She sold Mount Burchett in November 1890 and moved to Dunkeld to live with one of her sons. At the time of her death, Mary had six sons, two daughters, six great-grandsons and fifteen great-granddaughters. She was buried at Glenthompson with Thomas. Mary BEATON – Died 2 March 1915 at Hamilton. Mary Beaton was born on the Isle of Skye, Scotland around 1847. 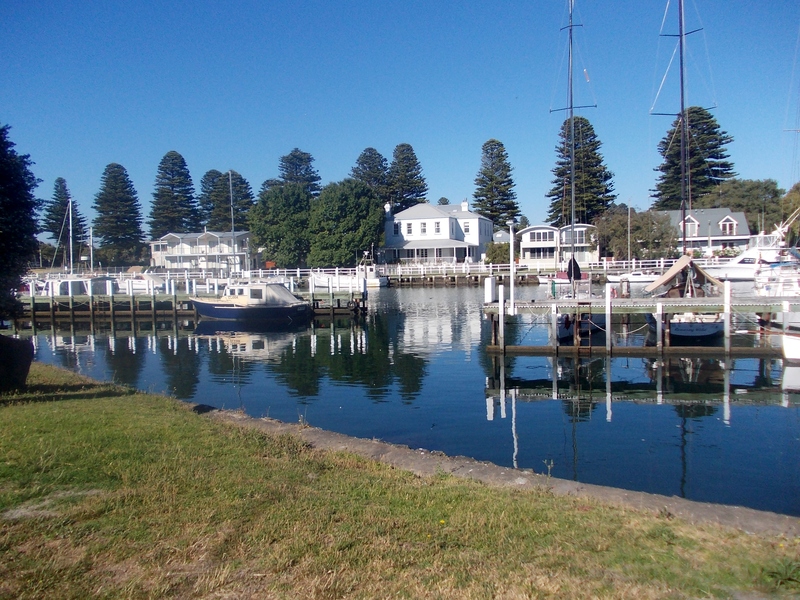 She arrived in Portland aboard the Edward Johnson with her parents in 1854, then transferred to another ship to travel on to nearby Port Fairy. In 1867 when Mary was twenty, she married Thomas Clohesy at the Hamilton Presbyterian Church and they settled in the town. On 24 April 1910, Thomas died suddenly at the age of sixty. Mary went to live with her daughter Mary-Ann and her husband Robert May in Gray Street. On 2 March 1915, Mary had a visitor, a shipmate from the Edward Johnson. The pair had just set off for a walk from Mary’s daughter’s home when Mary suffered an apoplexy fit and never regained consciousness, dying six hours later. The cause was put down to the excitement of the occasion. Mary was sixty-eight and was buried in the Old Hamilton Cemetery (below). She left two daughters and four sons. Evelyn MAY – Died 5 March 1916 at Coleraine. Evelyn May and her sister Bessie both died at Coleraine in March 1916. Evelyn’s death was barely acknowledged in the papers and it was Bessie’s obituary that alerted me to Evelyn’s death three weeks before. As she did not have an obituary, I’ve had to do some digging to find out more about Evelyn. Evelyn May was born in Middlesex, England around 1837, the middle daughter of Leon May and Abigail Lyons. The 1841 England Census lists Leon, Abigail and three girls, Elizabeth (Bessie), Avelina (Evelyn) and Isabella. Leon was a dentist and they lived at Harrison Street, Bloomsbury, London in what was known as the Harrison Estate. Leon was from “foreign parts” and Abigail was born in Scotland. Leon was not present at the time of the 1851 England Census, but the rest of the family were still in Bloomsbury but had moved to Russell Street. Evelyn’s mother, by then known as Adelaide, listed her occupation as a dental surgeon. Evelyn’s elder sister Bessie left for Australia around 1861 and married, taking up residence at Coleraine. In 1865, Bessie’s brother-in-law Louis Lesser travelled from Coleraine to England and in 1867, he and Evelyn married and left for Australia. They arrived in Melbourne and made their way to Coleraine to join Louis’ brother Abraham and Evelyn’s sister Elizabeth. Louis and Abraham had been in partnership in store in Whyte Street, Coleraine but mutually dissolved it in May 1865 when Louis left for London. But they seem to have resumed the partnership with Louis operating the store with other family members after Abraham’s death in 1886. Evelyn died in 1916 and Louis died on 19 June 1921. They were buried in the Jewish section of the Coleraine Cemetery. It appears they had no children. 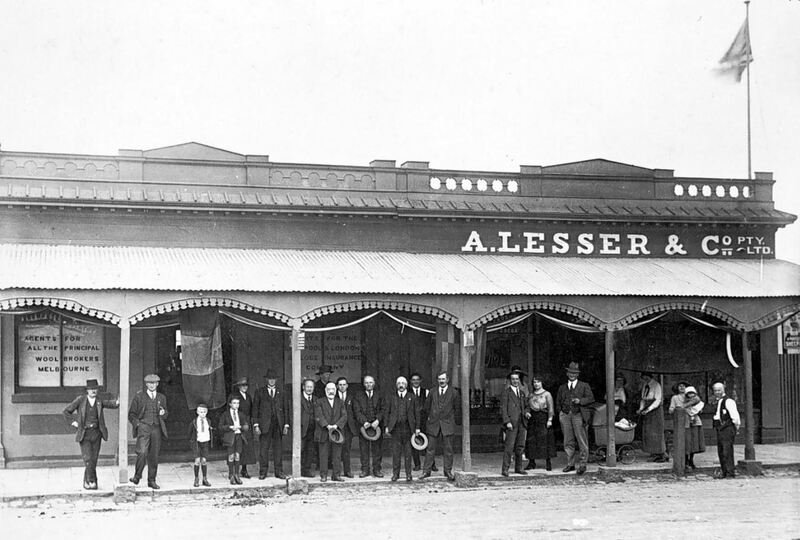 The photo of A.Lesser & Co Pty. Ltd. (below) was taken in 1922, after Louis’ death. Hanora FLEMING – Died 22 March 1916 at Hamilton. Hanora was born in Ireland around 1850. 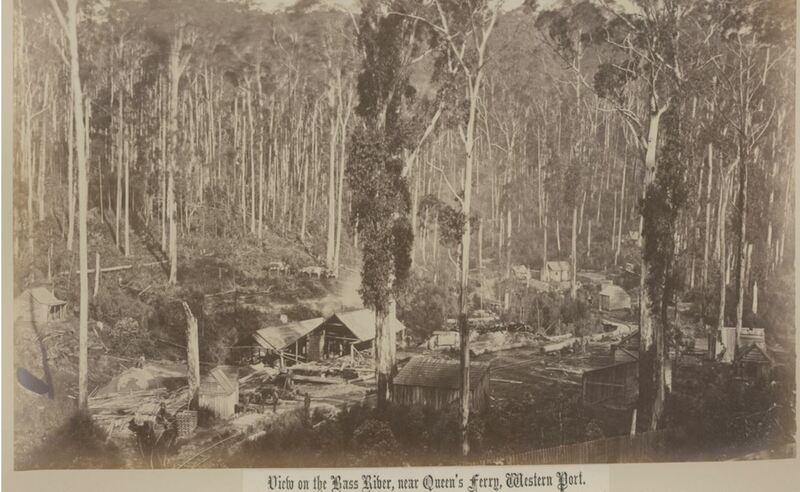 On arrival in Victoria, the Fleming family settled at Woodend. In 1870, Hanora also known as Norah married Thomas Joseph Fitzsimmons, a railway worker. Their first child Eliza was born in 1871 at Woodend and over the next decade, more children were born as the family moved around with Thomas’ work. 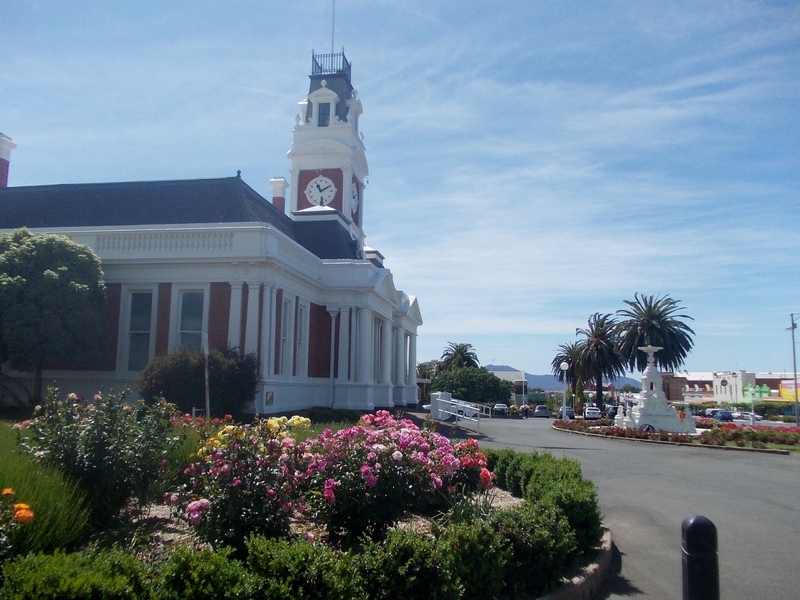 By the 1880s, the family was living in Ballarat. In 1892, Hanora had the last of her children at the age of forty-two. 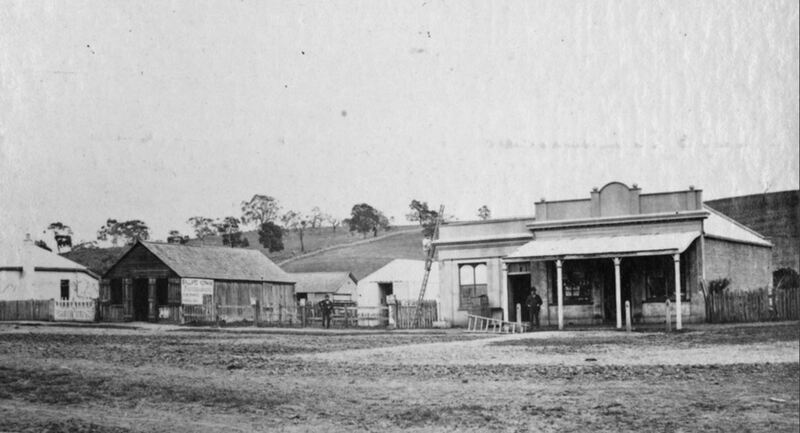 On 19 January 1900, one of Thomas’ workmates and close friends Edward Lake, had part of his foot amputated while shunting trains at Elaine. The accident had a deep effect on Thomas and he went into shock. As a result, he died on 1 February 1900 at Ballarat. At the time of Thomas’ death, the Fitzsimmons were living in Peel Street North, just near the railway bridge. Hanora still had four children under the age of eighteen in her care. Her eldest son Edmund lived in Hamilton and a daughter was also there with her husband Robert Drummond, the licensee of the Victoria Hotel in Gray Street, Hamilton. Hanora moved to Hamilton sometime after 1905, reuniting the family. Hanora died in 1916, leaving three sons and three daughters. Elizabeth MAY – Died 22 March 1916 at Coleraine. Elizabeth May, better known as Bessie, was born around 1835 in Manchester, England. As a young child, her dentist father moved the family to Bloomsbury, London. 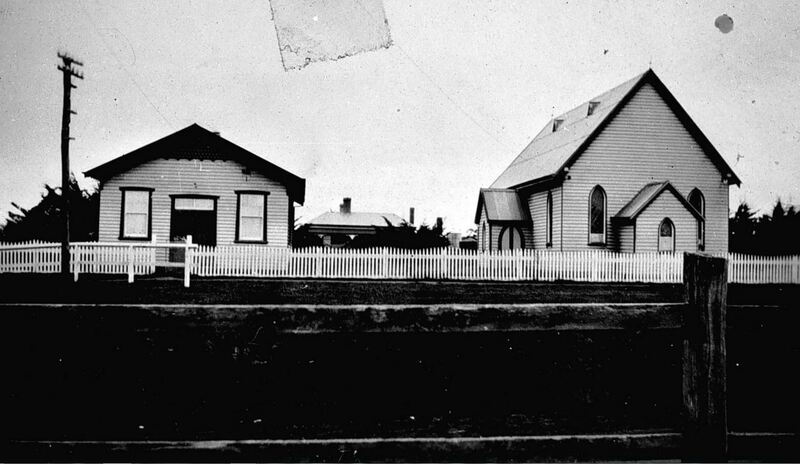 Around 1860, Bessie travelled to Victoria and in 1861, married Abraham Lesser at the Mikveh Israel Melbourne Synagogue. Abraham operated a store in Coleraine with his brother Louis, so Bessie moved to Coleraine taking up residence in a house she would live in until her death. In 1867, Bessie’s sister arrived in Coleraine from London after her marriage to Abraham’s brother Louis. A search of children born to Bessie and Abraham Lesser at Victoria Births Deaths and Marriage was interesting with the results showing several children. Bessie lost her first two unnamed babies and by 1870, had lost five children. In November 1886, Abraham died suddenly after taking ill at a concert. He was sixty. They had four children still living at the time. On 5 March 1916, Bessie’s younger sister Evelyn died and only three weeks later, Bessie died. At the time of her death, she had just one son and one daughter from her large family of ten. Bessie was remembered fondly in both the local papers and the Jewish Herald. Bessie was musical and was believed to have taken the first piano to Coleraine, regularly playing at concerts. She was also the secretary of the Ladies Benevolent Society. Bessie was remembered for her good sense of humour and charitable ways. She bequeathed a large amount of money to various institutions and causes including £10 to the Hamilton Hospital. Bessie was buried in the Jewish section of the Coleraine Cemetery. Eliza WHITTAKER – Died 13 March 1918 at Macarthur. Eliza Whittaker was born in Ireland but moved with her family to Somerset, England after the death of her father. She married Samuel Trigger and they had three children. On 9 April 1853, the family arrived at Portland aboard the Eliza. They went to Mount Taurus, west of Winslow and Samuel worked as a sawyer. They later settled near Macarthur, acquiring land at Warrabkook and Mount Eccles. Four grandsons enlisted for WW1 and in 1916 one was killed, Samuel Trigger at Mouquet Farm, France. His body was never recovered. 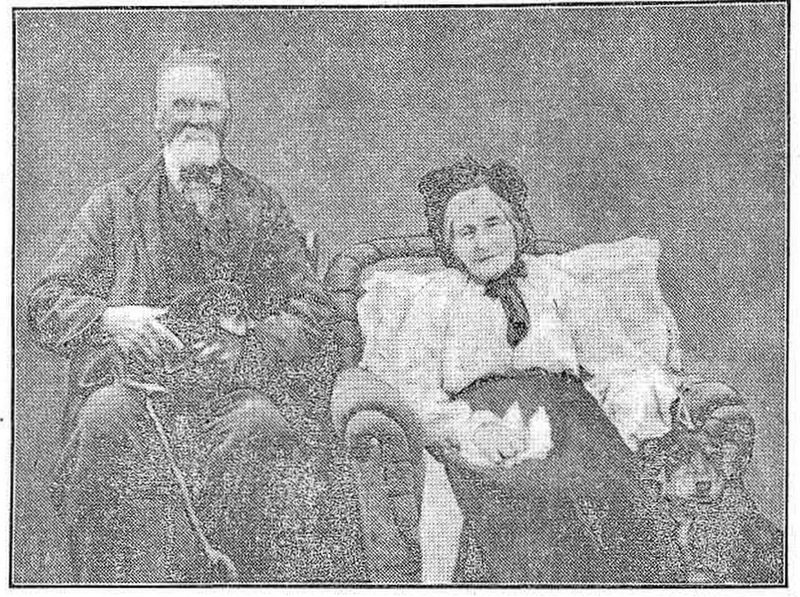 In 1917, Samuel and Eliza Trigger were photographed for The Weekly Times of 14 April 1917 when they were both aged ninety-five. Eliza died on 13 March 1918 and Samuel died only three weeks later. They left four sons, two daughters, thirty-one grandchildren and thirty-eight great children. Johanna Helena HERGER – Died 17 March 1918 at Yulecart. Johanna Herger was born around 1833 in Breslau, Silesia, now known as Wroclaw, Poland. Around 1859, she married Ernest Reich and they had two daughters, Ernestine and Emelie. 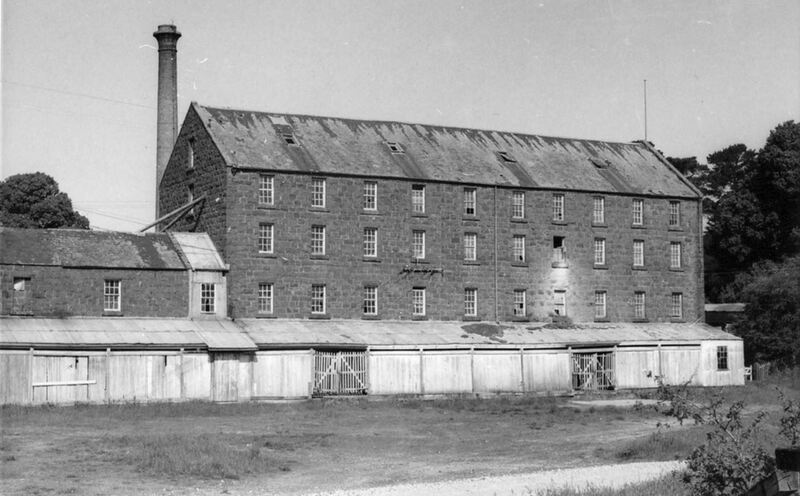 In 1874, the Reichs arrived in Victoria and moved to the Yulecart district where Ernest farmed. Johanna and Ernest’s daughters never married and remained living with their parents. By 1900, Johanna was an invalid and early that year fire burnt through 140 acres of the Reich’s property. Ernest, most likely into his seventies, and his daughters fought the fire alone on 28 January 1900. It ran up to the homestead, a scary experience for housebound Johanna. They managed to save the homestead but lost two haystacks. Ernestine and Emelie cared for their parents in their old age, operating a dairy farm to support the family. Johanna died on 17 March 1918, and Ernest died six months later on September 1918. Sarah Jane COLE – Died March 1947 at Geelong. Sarah Jane Cole was born in Lethbridge in 1861. She was the youngest daughter of teacher Robert Nelson Cole. 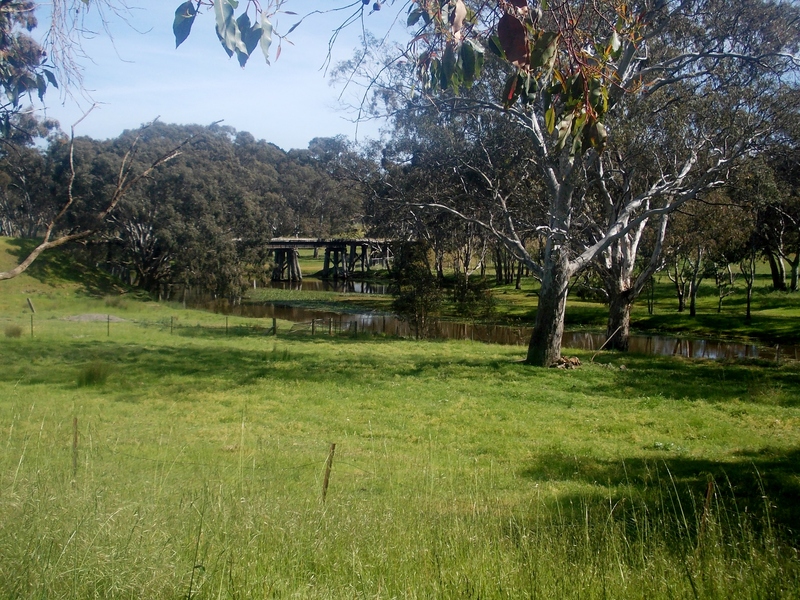 She spent her early years at Boot’s Creek near Daylesford where her father was teaching. Sarah’s brother Robert followed his father into teaching and before long Sarah too had taken up the profession. When she was nineteen, Sarah was appointed head teacher at the Carpendeit School, east of Cobden. She lived with her brother Robert who was living and teaching at the South Purrumbete school. Sarah rode seven miles to school each morning and seven miles home at night. She was a “fearless horsewoman” but if for some reason she couldn’t take her horse, she was happy to walk the distance and she was never late. But it wasn’t the safest thing for a young lady to do as she found out. Eventually, Sarah was able to board at Carpendeit and in time a residence was built. In 1884, Sarah married John Port of Port Campbell. There first child a son John George Port was born the following year. Sarah had a further seven children. Sarah also wrote poetry and sent them to the newspapers. Personal experience may have inspired one of those “On the Death of a Baby” published on 12 January 1889. “ON THE DEATH OF A BABY.” The Caulfield and Elsternwick Leader (North Brighton, Vic. : 1888 – 1902) 12 January 1889 http://nla.gov.au/nla.news-article66889460 . In those times, it was still possible for a married woman to continue teaching and Sarah did so until around 1898 when the regulations changed. 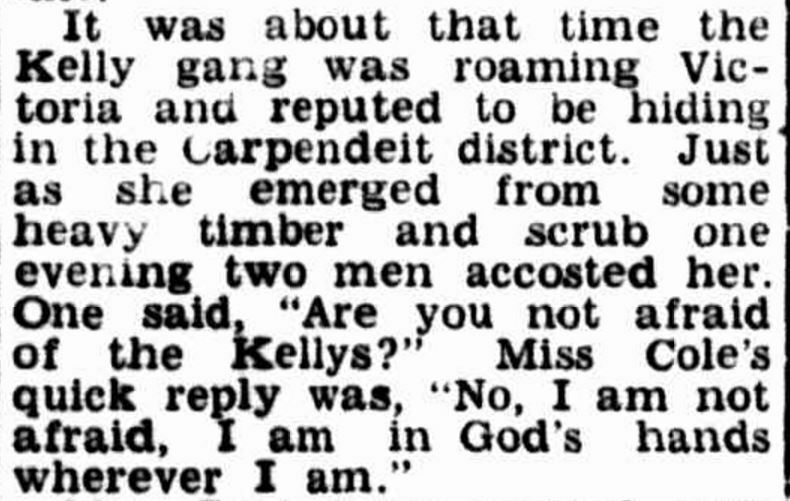 In 1902, she wrote a Letter to the Editor of the Colac Herald defending a local married woman still teaching. Sarah was active in the Carpendeit community as a member of the Band of Hope and the Carpendeit Methodist Church. Ellen Lavinia WINCHCOMB – Died 5 March 1954 at Cobden. Ellen Winchcomb was born in Cobden about 1883, a daughter of James Winchcomb and Fanny Laundry. Known as Nell, she was organist at the St Andrew’s Presbyterian Church at Cobden and did all the floral arrangements for the church and was a Sunday School Teacher. Ellen was a keen gardener and kept a cottage style garden. In 1914, Ellen’s mother Fanny visited a sister living on the Penshurst Road, Hamilton. She fell sick there and died at Hamilton on 4 December 1914 aged fifty-eight. Ellen’s father, James Winchcomb died in 1925. On 5 March 1954, Ellen died at her home in Cobden after a long illness.